That statement matches LKCS’ approach to statement processing. For the last 4 decades, LKCS has constantly improved and enhanced our statement solutions. We’re not the largest statement vendor and we’re likely not the least expensive – but we are THE BEST. Just ask any of our statement clients. In today’s Webinar Wednesday episode, our Vice President of Business Development, Sid Haas, highlights several differences between our Statement Processing services and those of our competitors. 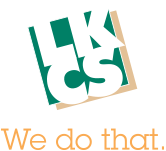 Founded in 1961, LKCS provides a complete range of marketing, graphic design, commercial printing, web development and statement processing services. We work with hundreds of financial institutions nationwide. Currently process statements for approximately 130 credit unions. Focus on utilizing technology to provide advanced financial marketing solutions across all media. Our firm was built around credit unions. – We designed our array of products and services specifically for the needs of credit unions. The Complete Solution – LKCS is a full-service marketing communications agency with IN-HOUSE design, printing, mailing, statement processing and web development departments. LKCS is a valuable partner and resource for your credit union. Design and Programming Excellence – Our graphic designers regularly receive national awards. Programmers trained in the latest data mapping, prepping and scripting techniques. – Proven quality control ensures accuracy and integrity. Strength and Stability – Over 50 years in business; continue to grow regardless of economic fluctuations. No layoffs in entire company history. LKCS can prepare your statements in just about any format or layout imaginable. When LKCS begins programming you will be asked to let us know of any specific formatting options, styles or statement elements that you would like to incorporate. What is Transpromo Statement Marketing? Transpromo is a compound expression formed from the words “transaction” and “promotional”. By adding relevant messages, you can piggyback targeted promotions and advertising onto existing transaction-related documents, such as statements. Transpromotional documents combine and data mining and business intelligence technology with variable data printing. LKCS print ads directly on your statements for pennies. Ads sent to all members OR we can target specific groups of members to receive one or more of these messages. You are no longer limited to short, text-only messages. Include graphics, logos, fonts, photos, etc. Even personalize the ads. Same technology enables loan payment coupons, rate grids, regulatory notices, etc. to be delivered on your statements. Design the ads yourself, select concepts from our online catalog, or have LKCS custom-design ads just for you. Include personalized direct mail letters as the first page of your account statements. NO EXTRA POSTAGE! According to the DMA, personalized letters remain as the most effective direct mail method. Use for pre-approvals, referral campaigns, skip-a-pay, investment relationships, welcome new members, etc. All of the above examples were intended to support one promotion for one month. How else could you utilize transpromo statement marketing? Consider developing ongoing statement-based marketing campaigns. The advantages: – “Set it and forget it” (at least for a few months) – Take advantage of special opportunities – True one-to-one marketing. Series of statement onserts sent out over a period of months/quarters to cross-sell additional products and services to specific groups of account holders. Same concept as Matrix Mailings. Terrific solution for new account holders, mergers, new branch locations, new SEGs, expanded field of membership, etc. Ability to run multiple matrices at same time. Take statement stuffers one step further. Target which members receive certain inserts. Selectively insert brochures, flyers and newsletters by criteria you select such as: Account relationships, Account balances, Account activity, Geography, ANY other conditions identifiable in your statement data, ANY other conditions identifiable in a separate control file. Try to open an envelope without seeing the back side. The back of the envelope is a billboard. Use this space. INEXPENSIVE – LKCS charges just over 1 cent per envelope. Choose from our stock designs each quarter, have LKCS custom-design an ad for you, or supply your own unique ad. Clearly the future for majority of account statements. Including statement marketing is just as important All transpromo techniques can be incorporated into LKCS’ e-statements. Banner Ads – Link to web pages or PDFs – Appear for all account holders or selectively. 12, 18, 24 months, or longer of statement history. Easy e-statement self-enrollment with full compliance. Home banking single sign-on, multifactor login authentication, or both. Simple management and powerful reporting – access all member statements, activity, users, e-mail bounces, etc. View multiple document types and multiple accounts. Mobile-friendly, even optional text message notifications. The integrity of your statement data is extremely important to LKCS. – We have numerous systems in place to protect the privacy of your account holders’ financial information. LKCS is SOC2 compliant. We undergo annual SOC Type 2 audits. Numerous information security procedures and policies are in place. Employees are trained and tested on all computer and data policies. Statement page and envelope counts are verified multiple times to account for each member statement. All computer systems are behind NCSA- certified firewalls and routers. Staff is notified of intrusion attempts. All operating systems and applications are routinely patched and updated. LKCS hires information security firms to regularly perform network intrusion tests. We have a formal disaster recovery contract and plan in place with a company in Nashville, TN to provide statement processing services for our clients in the event of a disaster. Our statement printing and inserting equipment has been custom-designed and configured to ensure unrivaled accuracy. Barcodes and inserter marks are used for verification. E-Statement data is encrypted and transmitted utilizing true 128-bit SSL security. All employees undergo complete background checks before hiring. Our building has been designed with security in mind. All entrances are protected by biometric and PIN-based entry systems. All archive CDs are encrypted with military-grade software requiring strong password authentication. Our promise: LKCS will not be another vendor you love to hate. 100% customer satisfaction in last survey. Call or e-mail and you will get a response; best communication in the industry. Fast answers and issue resolution. We really do go the extra mile; no request is unreasonable. We make our clients look good!